There are several news in recent months, there have been related to the claim of officers of the Camino de Santiago by the Muros and Noia. In the region do not stop succession protest events, and a few days ago the mayors of Santiago, Ames, Brion, Rois, Noia, Outes, Porto do Son, Lousame and Muros, signed a protocol that will work together to promote this path Santiago. 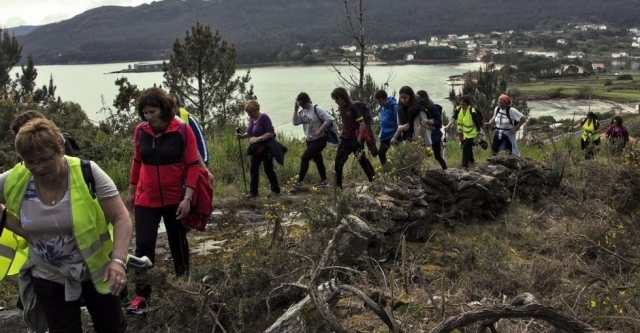 However, the recently announced hike to claim this tour has been organized by the Association Amigos do Camiño of Santiago English pola Ria de Muros and Noia. A pilgrimage to Santiago de Compostela divided into four stages, starting in Muros next June 18, and entering the Plaza del Obradoiro on July 3. The organizers have established a registration fee of 5 euros per stage, ensuring travel insurance and transport to the starting point, pilgrim card and a sandwich. However, they encourage all residents to participate in hikes, even choose to do so without paying this fee and benefit from the services available, with the aim that the group reaches the last day Santiago as large as possible. Buena iniciativa y buen gesto lo de los servicios gratuitos. Qué pena que no me pille cerca, espero que vaya mucha gente. Esperamos que consigan que muchos otros peregrinos se apunten durante el trayecto. ¡Buen Camino!